The pattern of convection cells, or plasma-filled bubbles residing within Earth's magnetosphere, high above the Earth's polar caps. Different colors represent different convective motions of the plasma. 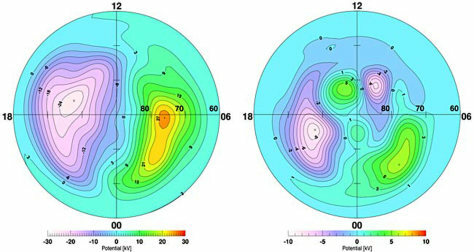 To the right is a statistical map of the north pole's convection cells patterns; to the left is the south pole's.